Strategic Inquiry is relentlessly focused on student learning. It develops the leadership capacity of teacher teams to turn schools around from the ground up. 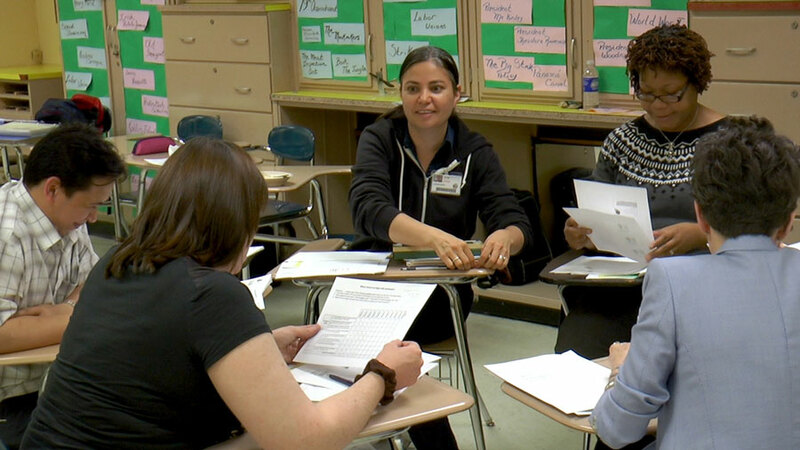 Strategic Inquiry creates a custom-designed process to empower teacher teams to identify specific students who have been historically underperforming. These teams then diagnose and implement what is needed to improve performance for those students and lead improvement of the school and district systems that have contributed to those students’ challenges. The core of Strategic Inquiry’s nationally recognized approach – moving students, moving systems and moving colleagues – was developed and refined through over 15 years of practice-based research in New York City. Strategic Inquiry’s core design elements – what we call the 4 Ts (teams, targets, tasks & training) along with the central principle of “getting small to make a big difference” – has been successfully implemented with impressive results in schools across the country. In phase I, teams identify and close high-leverage skill gaps for specific groups of struggling students. They become skilled in using in available data and generating their own more granular assessments to drill down to a “learning target.” Generating precise targets (as specific as the sequencing transitions first, second and third in student writing) is essential because it makes it clear what exactly needs to be taught. Moving students forward is important in phase I, but more important is the “Aha!” team members have when they discover that they can move students whom they previously thought they could not. In phase I, team members develop new diagnostic and leadership skills along with new beliefs about the ability of all students to learn. Phases I & II collectively comprise the strategic inquiry reflex: the ability to pin-point (and close) high-leverage skill gaps for specific students and then to improve school systems to better serve those and future students on a larger scale. In phase III, team members strategically spread the inquiry reflex. Simply put, they lead their colleagues to learn what they have learned, so that the development of new skills and beliefs aligned with strategic inquiry spread across a building. When a critical mass of teachers in a school has these skills and beliefs, the culture of a school has tipped. Two independent research studies found that schools committed to the model reached this tipping point within three years. The systems of a school collectively create the conditions in which all students are expected to learn. In phase II, team members analyze their school systems through the lens of the specific students and skill gaps identified in phase I. For example, if students struggled with first, second and third, teams might analyze where in the curriculum that missing skill is taught? If it is not taught, they might take action to ensure the integration of the needed skill and – more importantly – that future decisions about curriculum (What to teach, when and to whom) are systematically made and adjusted based on evidence of previously underperforming students’ needs. In phase 2 teams act in iterative strategic inquiry cycles to improve the systems they have identified as constraining specific students’ success. Find out how Strategic Inquiry can be adopted in your school or district. Keeping student learning as the central focus. Getting small means that teams identify precise, high-leverage learning gaps for struggling students – so micro-focused that they know exactly what to teach the next day. We also work with a small team and small numbers of focal students to keep the improvement process manageable and clear. Most importantly, however, keeping the focus small and student-centered is essential when analyzing and improving the systems that constrain success for the larger body of students that the focal group represents. 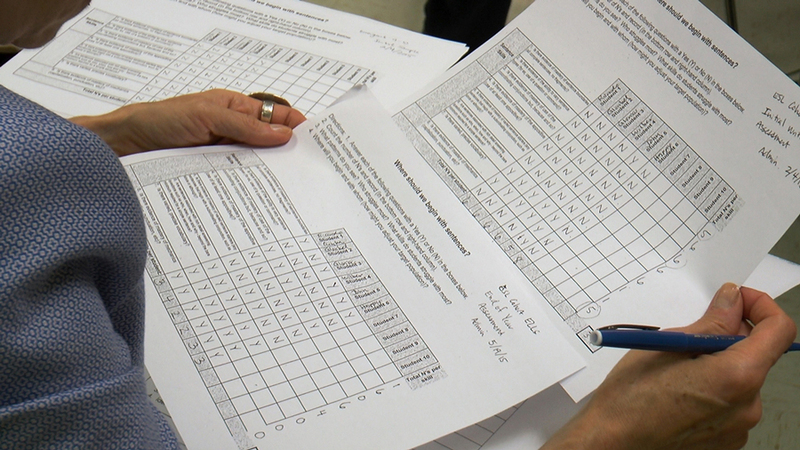 Teams analyze school systems through the particular skill gap that they identified earlier. They must come to understand how school systems have worked in ways that have failed to provide what specific struggling students need. When they lead improvement of these systems, they evaluate success according to improvement in the precise areas originally identified as needing improvement. Every school and district has a sphere of success – a group of students for whom current practices are working. And every school and district has the capacity for improvement – the ability to bring more and more students into the sphere of success. The tight process (staying small and student focused) aims to do just that – to empower educator teams who work together to promote leadership for continuous improvement. The Strategic Inquiry process ensures improvement for the students who have been the focus of teacher teams. Most importantly, however, it shifts the hearts and minds of team members who develop agency for leading improvement and who are then galvanized to spread the process and mindsets to their colleagues. A specific focus of WITsi is identifying and closing students’ skill gaps in expository writing. During the first 10 years of Strategic Inquiry’s implementation in New York City, program leaders identified patterns in the high-leverage skill gaps that teachers observed. 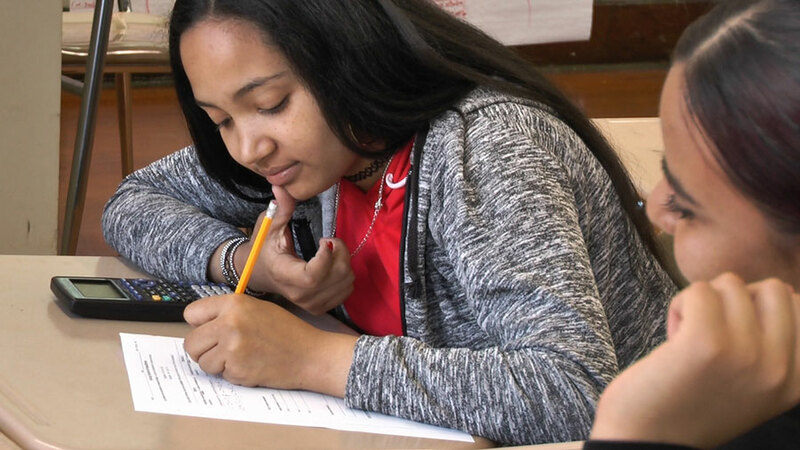 Multiple teams were identifying, for example, that high school students across New York City had trouble expressing connections between ideas, and more specifically, that they did not fully understand what the conjunctions because, but and so signaled. Similarly, there was a pattern that high school students across New York City did not know how to use the sequencing transitions first, next and finally. The purpose of Strategic Inquiry is to develop teams as engines of continuous improvement. It dawned on SI leaders, however, that the purpose of a learning organization is to LEARN and that through the first decade of SI work, much had been learned about where high-leverage learning gaps were: that there were foundational skill gaps in the cruxes of thinking that could be back-filled via direct instruction in explicit expository writing strategies. And that once learned, these core writing strategies would leverage improvements in far more than writing, including oral language, content, vocabulary and thinking. WITsi is an effort to accelerate student learning and school improvement by foregrounding the best of what was learned in earlier iterations of Strategic Inquiry into the transformation process of a school or district. Schools wishing to use Strategic Inquiry with a focus on expository writing gain the benefit of our teams’ collective learning. Learn how WITsi can help you improve far more than writing! Strategic inquiry helped turn around New York City’s struggling Renewal high schools between 2014 and 2016. According to an independent evaluation conducted by a research team at Columbia University’s Teachers College, Strategic Inquiry improved student performance and shifted school culture. This was especially notable, the researchers found, given that it was implemented in a relatively low-cost train-the-trainer fashion and that results were observed during the third year of what was originally designed as a five year effort. Students in schools that adopted Strategic Inquiry were almost two and a half times more likely to be on track to graduate and less than half as likely to be off track to graduate compared to students in non-SI schools. The train-the-trainer model was associated with similar outcomes to earlier, more costly iterations of the program, strongly suggesting that the more efficient version of the model adopted in Renewal schools was equally effective in shifting school culture and improving student performance at scale in struggling schools. Strategic Inquiry was associated with improvements in student engagement, particularly for special education and English language learning students. Schools adopting Strategic Inquiry reflected positive increases in NYCDOE measures of school culture. Inquiry participation was associated with a greater interest in pursuing leadership roles in the future. Strategic inquiry helped turn around New York City’s struggling high schools between 2005 and 2012. According to independent evaluation conducted by researchers at Stanford University’s Center for Research on the Context of Teaching (CRC), schools that commited to the strategic inquiry model for three or more years during this period brought previously struggling students on track to graduation and college readiness to such a significant extent, compared to similar schools not using the model, that it was as if students who entered below grade level had entered with grade-level reading scores. The results were most striking – stunningly so – in the large high schools studied, typically most difficult to improve. For more information, get the book, which includes case studies of three school turnarounds. Ready to ignite the power of teams in your school or district?